Home Page | Uncategorized | Happy Christmas! Happy Christmas. Order NOW to save 10% on all 2015 hardware and 20% on all Outerwear! Some exceptions, sorry! 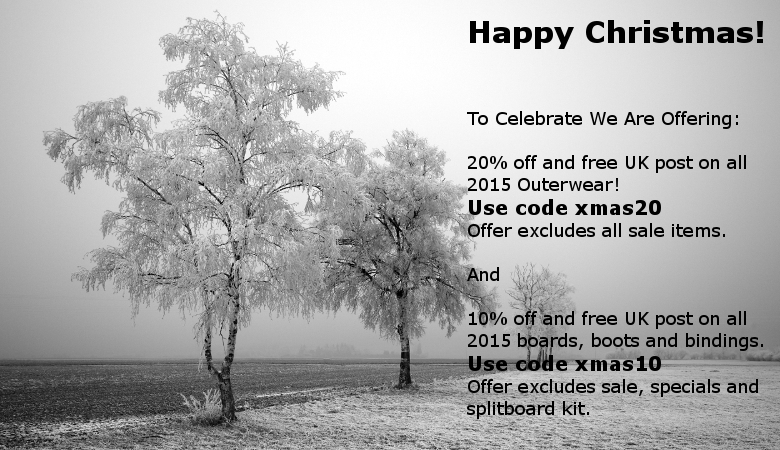 Sale stuff and splitboard stuff…sorry!